Photo credit: Howard Communications, Inc.—Many hunters don’t realize that they can contribute to conservation at a hands-on level. Whether you improve habitat or limit harvest numbers on given properties, you can make a lasting, meaningful impact and have a positive story to tell non-hunters. I’m a fairly avid YouTube viewer. I weekly watch several hunting-related channels I’m subscribed to, and I often browse other suggested videos on channels I’m not subscribed to in search of fresh, informative hunting content. Occasionally, I find tasteful, well-presented content. More often, I’m disgusted at blatantly failed attempts that practically defy hunting’s intended purposes. I constantly stop playing videos in which hunters call animals cuss words. I do likewise when they misinform viewers that a 140-class whitetail they just passed up is “just a little buck,” or when someone does not follow NRA gun safety rules and waves a firearm in an unsafe direction. If blood is the focus and respect is forsaken, I shut it down. If they brag that an animal they shot with their bow was 100 yards away, you guessed it: I find another video to watch. Such videos and other ego-driven media I’ve encountered have inspired me to address this concerning, under-discussed topic. I feel we tolerate way too much ego, obscenity and barefaced disrespect toward animals and even other hunters. Simply put, there’s too much negativity running rampantly about the collective hunting community, and we must end it. Thus, let’s educate folks on how to present hunters and hunting tastefully. I believe it begins with reaching out and teaching young folks while they’re moldable so that our hunting community remains a reputable bunch for generations to come. Let’s review six ways to make positivity stand taller than the negativity that invariably lingers. When I have a banner hunting season that fills my freezers, I gladly and willingly gift non-hunters portions of my abundance. Many non-hunters put little thought into how meat lands on their plates, so gifting them wild-game meat opens a topic for thought and discussion. I carefully explain that the chief reason I hunt is to eat responsibly-harvested and -processed meat. I continue by explaining how I disagree with the meat industry when I hear about any mistreatment of animals or the lack of sanitary measures. Many folks leave the conversation with a whole new appreciation for hunters when they learn that we care about animal welfare and that we strive to make quick, clean kill shots and then carefully handle and process the meat ourselves. In addition, the NRA maintains an information clearinghouse to link hunters with participating meat processors who will accept their field-dressed deer or other wild game for processing, packaging and food-bank distribution. For more information or to search for participating processors by zip code or city and state, visit the NRA's Hunters for the Hungry, call 800-492-4868 (select option 3) or email hservices@nrahq.org. Most anti-hunters view us hunters as “animal murderers.” Few realize that hunters and their wildlife conservation dollars are a leading reason we have abundant wildlife and wildlife habitat in the first place. We must tell non-hunters that story to set the record straight so they understand we are, in fact, conservationists. World-renowned hunter and conservationist Phil Phillips discusses this point in his article, “How Do You Spell Conservationist? H-U-N-T-E-R!” Phillips also presents mind-blowing stats on hunter contributions to wildlife conservation and habitat preservation. Hunters too often place conservation efforts solely in the hands of government agencies or conservation organizations such as the National Wild Turkey Federation, Rocky Mountain Elk Foundation, Ducks Unlimited and others. But you know what? You can participate on a hands-on level, too. Let me share one example. I am a turkey-hunting fanatic. I harvest multiple toms every spring not far from my home. I could fill, say, five tags on a 40-acre property. But I don’t. If I did, that property would probably be tom-less for a few seasons. Because I spread my harvest over multiple properties, I always have birds to hunt on the same properties every single spring. Make sense? Arrogance has no place in the hunting community. I often discuss this with a hunting-industry friend. To expound on my friend’s change in direction and motives, let me add that waving your own flag is counterproductive to making solid hunting relationships. Humans tend to run with like-minded folks, right? If we’re bragging and trying to one-up someone else, those are likely the people we’ll run with, and they portray an inaccurate image of hunters and hunting. I want no part in that. Poaching defies what hunting is all about, though non-hunters often misconceive poachers as hunters. They aren’t, but that is exactly what animal rights extremists want non-hunters to believe. Poachers are criminals. Those who poach, or even tolerate it, are detriments to wildlife conservation, hunting opportunities and the way non-hunters view us. We must end this “by creating economic and political conditions that discourage poaching and illicit wildlife trafficking,” as Catherine Semcer wrote in her article, “Why Hunters Are Critical to Reducing Wildlife Crime.” We also must exercise our duties to turn in poachers. It must end. (For more information, read "Poaching Is Not Hunting." 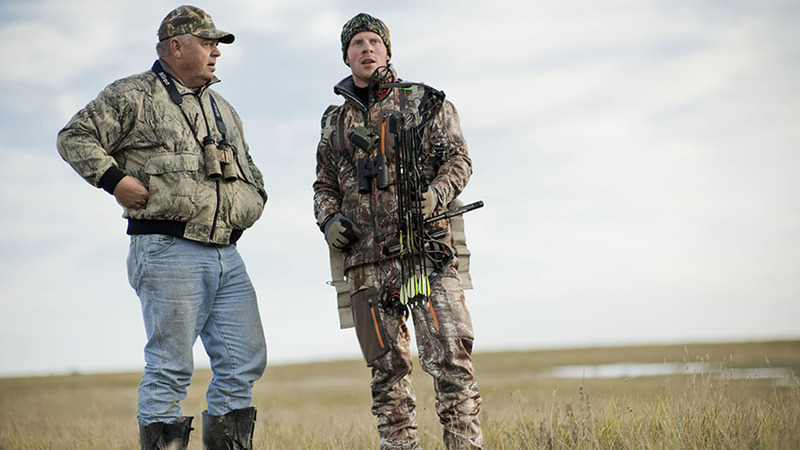 Years ago, a firm handshake and friendly smile were all it took to gain hunting permission on private lands. It still happens, but far less frequently. 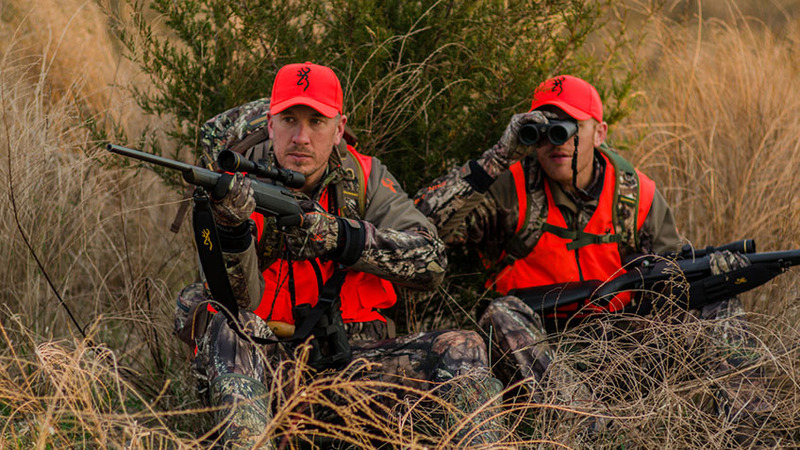 Finding places to hunt becomes more challenging every year. I can’t count how many landowners have turned me down because they’ve been burned by others to whom they’d previously granted hunting permission. Some left gates open they were asked to close. Others fired in unsafe directions. Some made ruts by driving in wet fields or drove over crops. Some landowners even caught poachers or trespassers. These and many more examples of poor stewardship are largely why access has become so tight. It’s very simple. First, obey the laws. Second, obey landowner instructions. Period. This goes back to the most basic principles we all learned in hunter education class: (1) Always treat every gun as if it were loaded; (2) Always point the muzzle in a safe direction; and (3) Know your target and what lies beyond. Every time a firearm-related accident occurs, firearms and hunting are blamed when, in actuality, carelessness instigates most of these accidents, most of which can be prevented. Once you speak words or complete actions, you can’t take them back. They can have a lasting impact on how the general public views hunters and hunting. Make your words and actions count the first time because whether you think so or not, someone is usually listening and/or watching. If you fail at even one thing from the list above, it could portray a false image of the entire hunting community. That’s a chance we cannot afford to take. About the Author: Darron McDougal is a full-time freelance outdoor writer and editor who lives in Antigo, Wisc., with his bride, Becca. He's hunted in 12 states and successfully taken elk, bear, hogs, turkeys, pronghorn, whitetails and mule deer, most with archery equipment on DIY hunts. The McDougals enjoy all things hunting and shooting. They believe in God and love to travel.